← Besides Chip, What Are the Other Network Switch Components? QSFP-DD vs OSFP: What Is 400G QSFP-DD Transeiver? QSFP-DD refers to Quad Small Form Factor Pluggable Double Density. We know that current QSFP28 optical modules support 40 and 100 Gigabit Ethernet applications. They feature four electrical lanes that can operate at 10 or 25 Gbps. 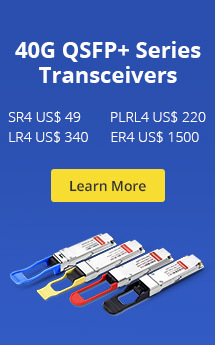 While the new 400G QSFP-DD transceiver is designed with eight lanes that operate at up to 25 Gbps via NRZ modulation or 50 Gbps via PAM4 modulation, which would support optical transmission of 200 Gbps or 400 Gbps aggregate, thus doubling the density. 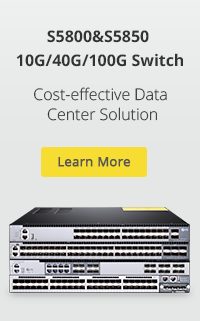 At the 400G transmission rate, the QSFP-DD form factor could enable up to 14.4 Tbps aggregate bandwidth in a single switch slot so as to cope with rapid data center traffic growth. Another greatest advantage of the 400G QSFP-DD is its backward compatibility with the QSFP and QSFP28 transceivers. 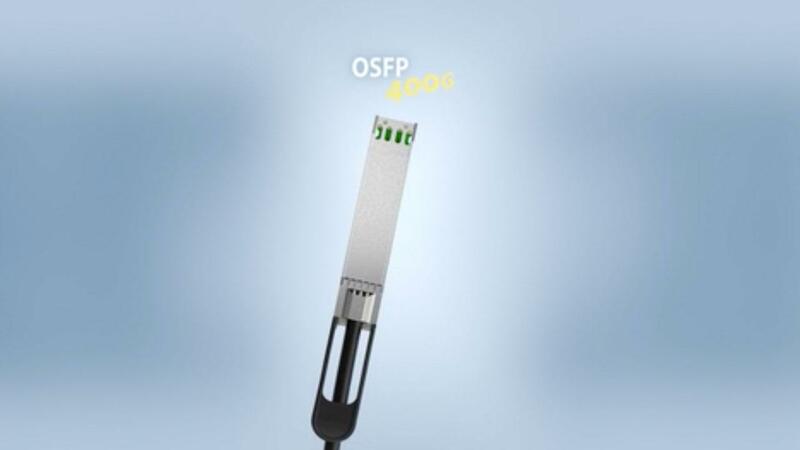 OSFP stands for Octal Small Formfactor Pluggable, which is a very new module and interconnect system in development that is targeted to support 400G optical data links inside data centers, campuses and external metro long reach. 400G OSFP’s first iteration is an 8-lane times 50G PAM4 = 400G physical link with a possible future 4 x100G PAM4 = 400G and 8 lanes times 100G PAM4 = 800G variants. This physical packaging system is agnostic relative to the different protocol I/O interfaces that will likely use it. The 400G OSFP transceiver module or cable plug is a dual paddleboard direct-attachment type connection. This form factor allows 32 400 Gb/s ports per 1U to enable 12.8 Tb/s per switch slot. And the 400G OSFP to QSFP+ adapters will support backward compatibility between form factors. 400G QSFP-DD vs OSFP Transceivers: What’s the Difference? The size of 400G OSFP transceiver module is said to be slightly wider and deeper than the 400G QSFP-DD transceiver, thus taking up more PCB surface area. Several 400G OSFP modules on a line card use much more area and only 32 ports per 1U box faceplate are possible versus the 36 ports of 400G QSFP-DD transceivers. 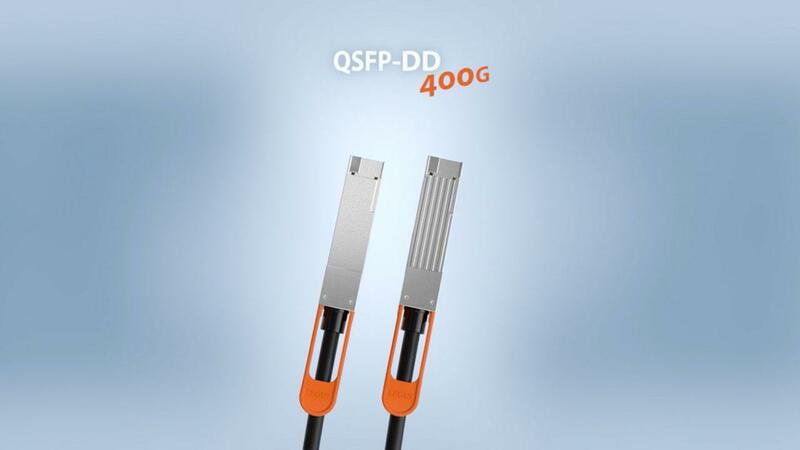 The larger size 400G OSFP may not have enough power and cooling advantages versus QSFP-DD’s density and its four extra port capability. Different users with different applications may fervently prefer one connection system versus the other relative to their panel density, cost, performance, power and cooling priorities. And according to the market forecast, the 400G QSFP-DD transceiver should be ready before the 400G OSFP, which is another advantage in addition to its backward compatibility with QSFP and QSFP28. As it has been mentioned, the OSFP transceiver will need an adapter to support backward compatibility between form factors. It seems that the future for 400G QSFP-DD transceiver is brighter. But now it is still too early to draw the conclusion and the two modules will have slightly different applications . 400G QSFP-DD vs OSFP transceivers: Who Will Win? Although many data centers are still upgrading their network to a 100G data rate thanks to the cost-effective and high performance, 400G optical transceivers, as the wave of the future transceiver, are already on the way. As for the question: 400G QSFP-DD vs OSFP transceivers: Who Will Win? Let’s wait and see! This entry was posted in Fiber Optic Transceivers and tagged 400G Ethernet, OSFP transceiver, QSFP-DD, QSFP-DD vs OSFP. Bookmark the permalink.